After a spring where the Phillies never released a workgroup player list, I was beginning to think that we would never find out the schedule nor roster for the Fall Instructional League. Then this morning–SURPRISE! They actually posted it. Seeing as Alec Bohm will be there, I have a feeling that Baseball Ross and I will be checking in to see the goings-on at instructs. Watch this space and Baseball Ross’ blog for pictures and articles starting next week. Note: a “camp day” is a day where they may scrimmage or do drills have a short day or have off the field meetings so you may not see them on the field. If you would like to read the announcement, you can read it HERE. 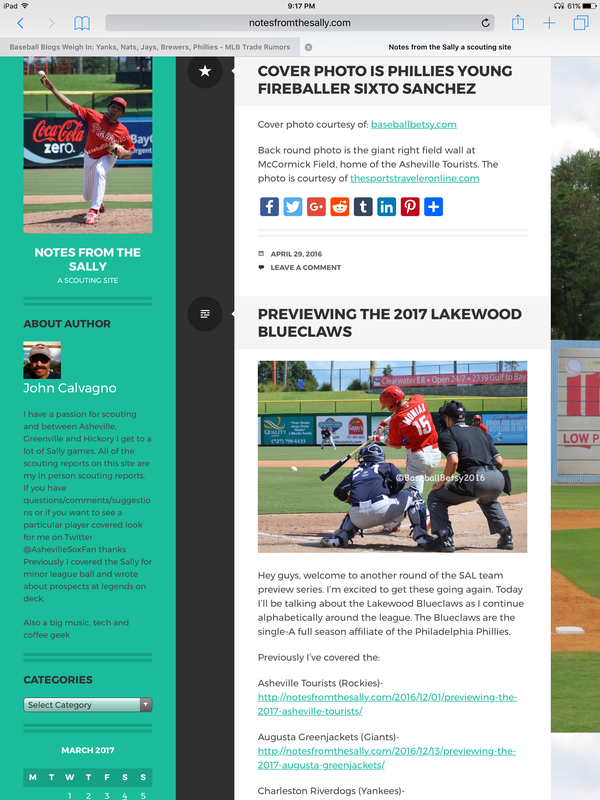 Last week my friend who runs the blog Notes from the Sally, which focuses on the South Atlantic League or “Sally” contacted me to use my pictures in his feature on the Lakewood BlueClaws. I was flattered. When saw his article that is featured on MLB Trade Rumors, I was impressed. I’d highly recommend checking out the article! Here is the LINK to the article, scroll down to the NOTES FROM THE SALLY. I hope you enjoy it. I’m tickled that my pictures were used in such a great article!